The classic pairing of delicious cookies and rich cream without the sugar, fats and empty calories that can damage your weight loss plan. Each incredibly moist bar is packed with 9 grams of body building protein and 11 grams of filling fiber. At just 100 calories per bar, these sugar-free wonders are great addition to virtually any healthy weight loss plan. I ordered this flavor in the past and when I got my new order I was disappointed. They have not only changed the packaging they have changed the taste. It is more artificial tasting then in the past and had more fat than before. Was a little disappointed. We eat a bar for dessert occasionally. They taste like a candy bar, provide 10 grams of protein, about 100 calories and low fat. We like the cookies N' cream and peanut butter flavors. Wonderslim snack bars are so good and I was expecting these to be the same but with a change in flavor. Do not care for them. Very hard and not as much chocolate flavor. Will not order this brand again. I really enjoyed the taste of the Cookies N Cream, and had my hit of chocolate. I would recommend these bars. WARNING!! NOT GLUTEN FREE. !!!!!! I was recently diagnosed with having celiac disease and these bars say that they are gluten free. Nowhere on this site or on the manufacturers site does it say anything to the contrary. Even the front of the package on the bar states so, but the back of the bar in small print under the seam of packaging where you don't notice unless you look says allergy alert manufactured in a facility that produces wheat, nuts and eggs. So while they may not make the product with gluten containing ingredients, they are still contaminating I therefore it is not gluten free and should not be advertised as such. I have notified Diet Direct and the manufacturer and neither has added anything to their websites. Beware celiacs, I don't want any of you to get sick!!! EDITOR'S NOTE: Erroneous information on the Diet Direct website has now been corrected. We apologize for any inconvenience this oversight may have caused and fully appreciate the customer feedback that brought this matter to our attention. Please contact us to submit your review for ChocoRite Sugar-Free Protein Bars Cookies N Cream (16 ct) - HealthSmart Foods. 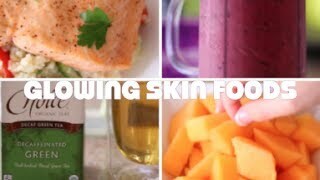 Products Used- https://rdy.cr/6fa4f7 Salmon Recipe on Byrons Channel - http://bit.ly/1hz1wyi *Always check with a doctor before making any major diet changes.